Anyways, I think I forgot to post this card and remind you about the Prickley Pear February Sketch Challenge which ends tomorrow. Its a wonderful sketch with lots of possibilities and I hope you get time to play along. 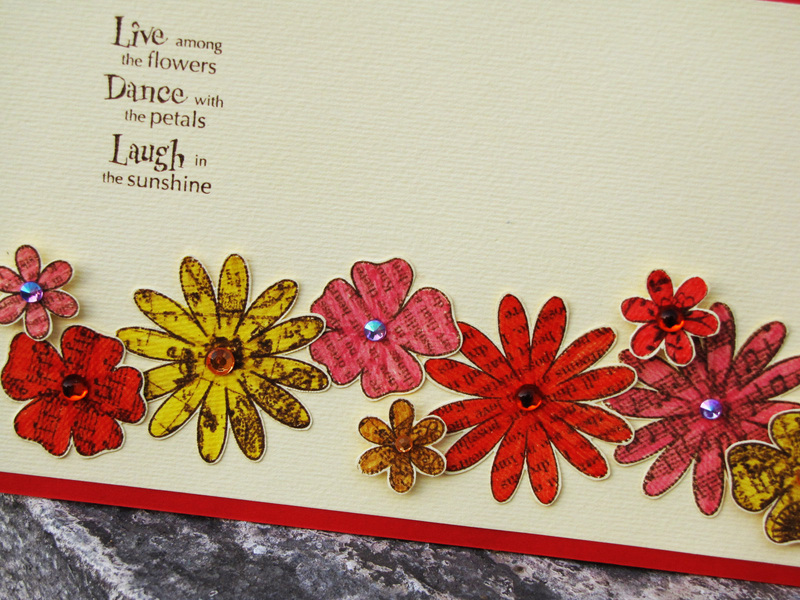 Each beautiful flower is stamped, cut and colored in separately. I have followed the sketch to the T and I have used dimensional tape for some of the flowers for added interest and finished them off with gorgeous Pie Lane crystals. 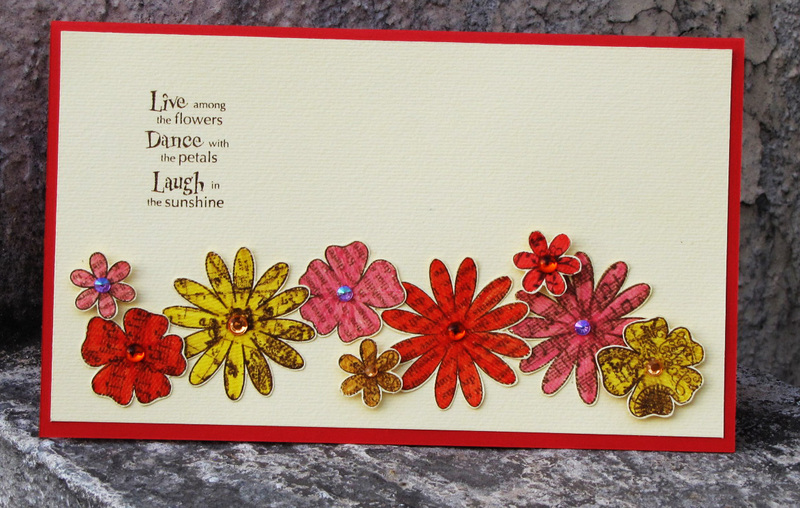 Gorgeous card as usual....have you used kissing technique while stamping.if yes then you can enter this at Lily cards as well.Would love to own this stamp. Oh wow!!! 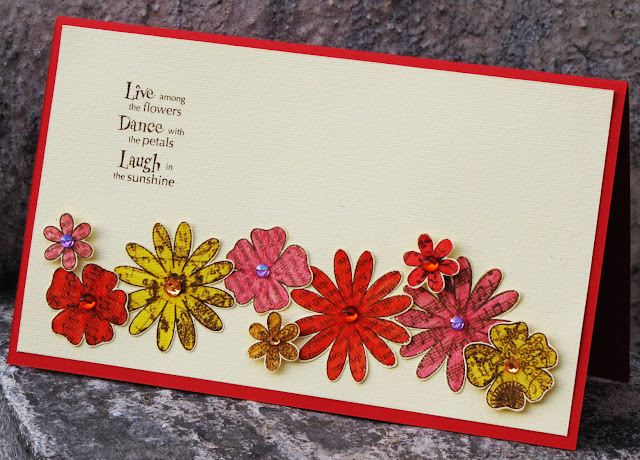 your fussy cutting is simply amazing!!! i am truly in Awe of it!! this is such a lovely card...i really loved the sentiment ... its so well said!!! Wowie card ! Fab sentiment !! Lovely card Ujjwal so vibrant and colourful!!! such a fab spring creation. loooove the flowers. What a beautiful card and you totally rocked the challenge!!!! What a lovely card GIRL!! !Loved the blooms!! !